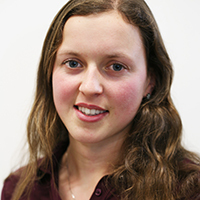 Four current and former SELA members attended a workshop at Gripple’s Riverside Works in June, to get wired about the future of UK manufacturing. ‘We are constantly investing in innovation’ Gripple’s Gordon Macrae is proud to point out. Indeed, the industry’s leading provider of wire tensioners and fasteners did not get where it is, and stay there, without taking risks and doing things differently. 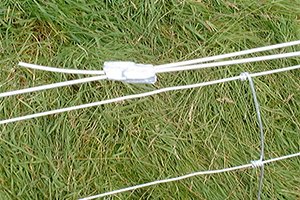 Hugh Facey started manufacturing wire fasteners in Sheffield in 1985 after a conversation with a Welsh farmer about the difficulties of tying fence wire led him to innovate a device that would do the job better. 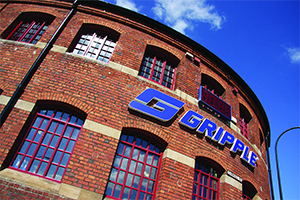 Gripple Limited was founded in 1989 and the company has gone from strength to strength since then. The driving force behind the growth is innovation. I was one of four SELA members to join a workshop on innovation at the manufacturing plant on the outskirts of Sheffield, where the company is still based. The other attendees were employees of Gripple, in everything from sales, to distribution to human resources. After giving us a history of the company and an overview of its guiding principles, Gordon Macrae opened the workshop by posing the question: “How would you redesign the machine to manufacture Gripples?” The question was broad enough for the two teams, formed of a mixture of SELA members and Gripple staff, to take very different directions in their approach. The next couple of hours were spent developing the ideas, and ultimately pitching them to Macrae and the other team, as if to the board of Gripple. For the SELA students, it was an opportunity to apply some theory to a real-life situation, and learn from the Gripple staff, most of whom were or had been machine operators and had essential knowledge about the workings of the machine and the company. The workers at Gripple were open about how valuable they found the input of outsiders, who were not tied into a certain way of thinking about manufacturing. One thing that stood out for me was how much the Gripple staff pursued ideas about machines that did everything, from taking orders to packing and dispatching boxes. On a tour of the factory floor afterwards, we saw machines of all shapes and sizes: some fitted together four or five constituent pieces and spat out little Gripple widgets, which are about the size and weight of a £2 coin; some machines were manually operated and performed only one task. Here was a machine that wound wire into springs, there another that moulded plastic pieces. Workers had occasionally to unjam, reload or reset the larger machines and assemble widgets at the smaller workstations, but another job of the staff seemed to be filling in the gaps between machines: stacking boxes, moving them to a new station, refilling the input chutes. There was clearly a strong business case for the mechanisation of more of the tasks. Gripple’s Sheffield-based manufacturing and a supply chain contained within Yorkshire allows new ideas to be tested with speed and ease, and ideas that don’t work can be shelved with minimum time wasted. The company is obviously keen to promote innovation, as shown by its hosting of these workshops, and its ambitious goals. Macrae mentioned some future aims are recycling compressed air, harvesting energy from the Don and becoming completely off-grid. After we had fed back our ideas for the machine of the future, he talked about the coming challenges of artificial intelligence, machines that learn for themselves. He is obviously switched on to the challenges of the future, and keen to find solutions to stay ahead in industry. The factory floor was not what I had expected: it was bright, spacious, colourful and clean. By far the most impressive aspect of the factory was a “green wall”, several metres tall, which had been developed in conjunction with the University of Sheffield. Plants were growing in a substrate, through which water and nutrients are fed through an automated aquaponics system. Strawberries were growing on the bottom-most panels of vegetation, which were attached and hung to the wall, unsurprisingly, with Gripples. These hanging fasteners were revolutionary. Before Gripple wondered what would happen when a wire tensioner was used rotated at 90-degrees, lights, projector screens and hanging decorations were held by heavy chains or rods. Now all hang by thin wire: look up and examine the ceiling next time you’re in a library, museum or gallery, and see for yourself. The Riverside Works was like an exhibit for the uses of Gripples. Lighting and screens were hung by Gripples, the wires in the balcony were held tight by Gripples, even a heavy tub of Gripples served as the door stop. At the end of the workshop, Macrae opened a tub and offers us all a Gripple fastener to take away. Our solutions to the question he had challenged us with at the beginning of the workshop had ranged from talking machines which were linked to the internet, modular systems of units which could be taken on and offline without disturbing production and even a different design of Gripple widget, which was easier to manufacture. He listened to all the ideas with nothing but encouragement and positivity. It would take years to get to the point of implementing any ideas on the scale we were talking, but with Gripple focused on innovation, and open to ideas and outsider input, this Sheffield company will continue to lead the way with manufacturing. With thanks to Gordon Macrae and Gripple for hosting this workshop for SELA members.